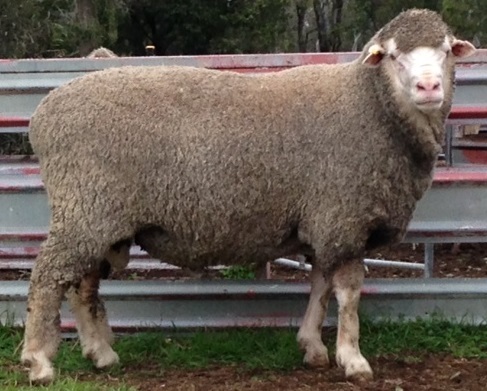 2015 will see Macquarie offer stud sires at Hamilton Sheepvention on Tuesday 4th August. Three special stud sires and two selected stud sires will be offered by Elders Ltd.
All sires have been used within the stud and gives breeders the opportunity to source Macquarie’s top genetics. A well balanced, deep bodied and extremely high indexing sire. An Empire family sire renown for wools that can handle high rainfall. 7176 carries a well nourished bright 66s fleece and is free of blemishes. An Olympus family sire expressing the true qualities of a dohne. 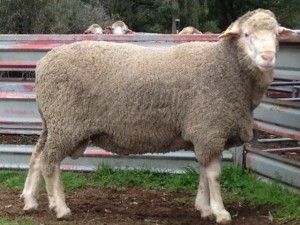 A plain and deep bodied sire with excellent conformation carrying a rich 66s quality fleece. 7237 has a soft open face and is free of blemishes. A exceptional Ace family sire. 7141 is a deep bodied, deep twisted sire with excellent conformation. 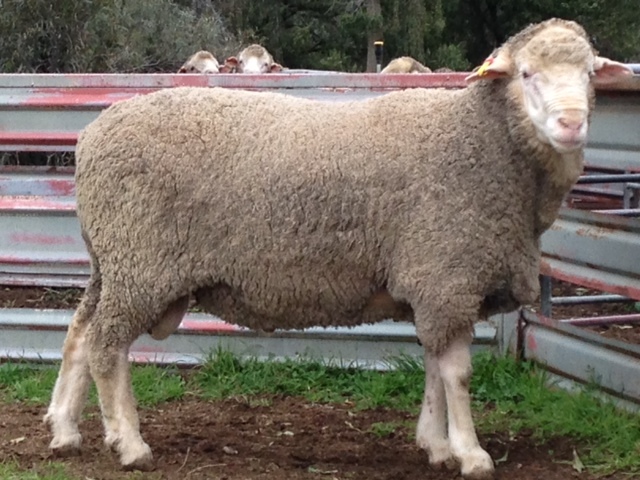 7141 has a soft, pure muzzle and carries a gutsy, long stapled 64s fleece on a supple skin. 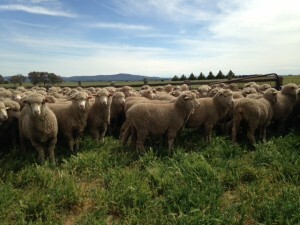 The maternal traits of the Dohne shone in the coveted JBS Swift Annual Great Southern Lamb Supplier of the Year award held in Melbourne during May 2015. South Australian producers Wayne and Sally Hawkins, who trade as Circle H Farms at Frances, won the prestigious title with their Dohne/White Suffolk Cross lambs; and the Koch family,Tallageira Pastoral Company, also from Frances, came fourth. The Hawkins have been breeding Dohnes for over ten years. 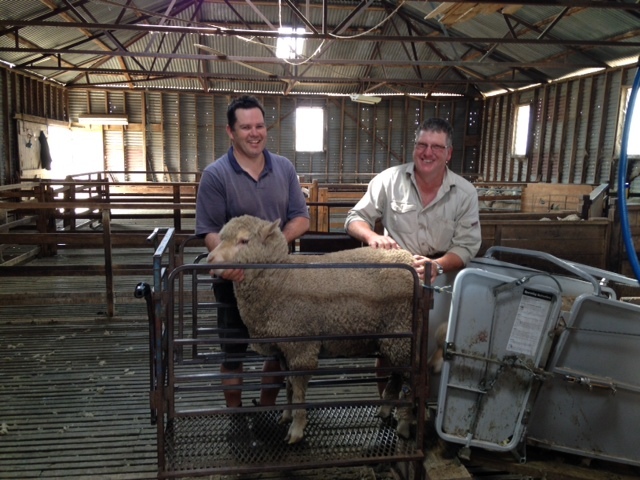 In 2014, they delivered over 8,000 lambs to JBS Swift. 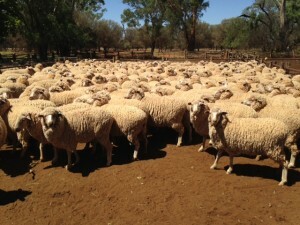 The Kochs’ Dohne flock commenced with a successful trial with Dohnes eight years ago, resulting in a large scale Dohne breeding program in 2009. 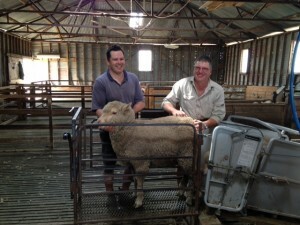 The Kochs’ lambs were sired by both Border Leicesters and Poll Dorsets. JBS Swift, Australia’s largest meat processor, receives over 700,000 lambs annually from over 900 producers. The Great Southern Lamb Supplier of the Year is chosen from these. Attached is a commercial membership form. 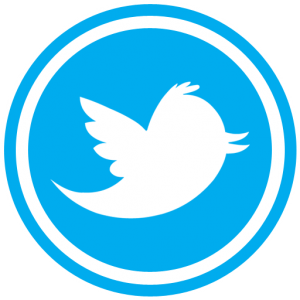 Please consider becoming a member. The funds raised from commercial membership will go towards a Breed Development Officer which will ultimately benefit the commercial producer. The technical sub committee has reviewed and changed the dohne index which has been implemented as of the start on this month. 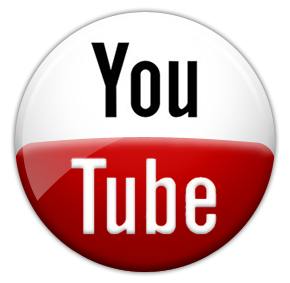 The index now has a greater emphasis on early growth rate, eye muscle and fat. 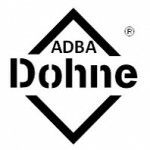 Next year Australia will host the inaugural Global Dohne Conference. 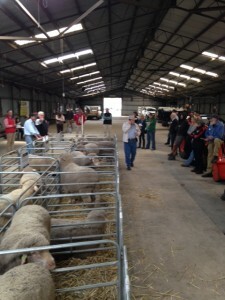 The tour will commence at the Australian Sheep and Wool Show Bendigo on Sunday 17th July. The tour will make its way to Dubbo for the conference from Thursday 21st to Saturday 23rd. 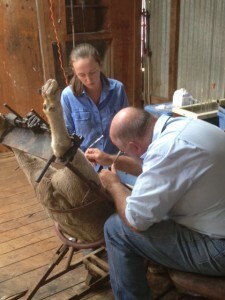 Following will be tours to South Australia and Western Australia. The international interest has been overwhelming. 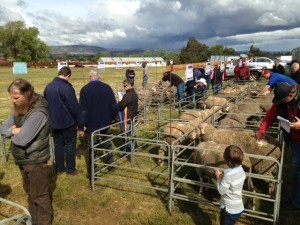 Mixed age dohne ewes at RH Woodward & Co “Glencoe” Bollon Qld managed by Kevin Halliday. 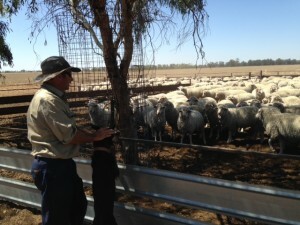 800 ewes were inseminated to leading Macquarie sires. 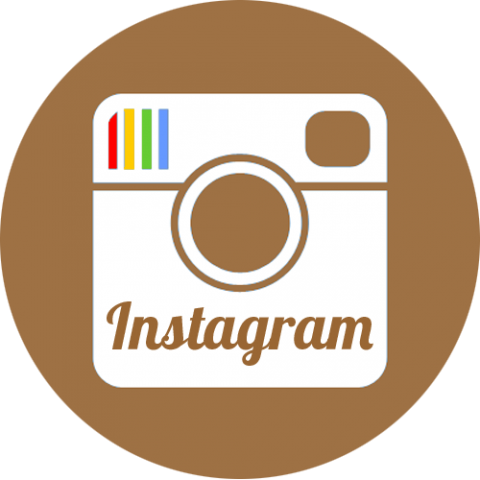 We would like to take this opportunity to thank you for the continued support and we look forward to catching up throughout the ram selling season. 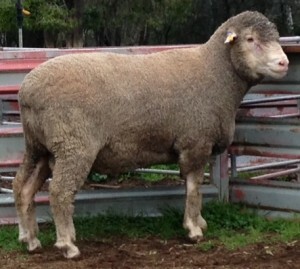 For previewing sale ram teams please contact John on 0427 474610.